Mapex started the design of Armory with the idea that players want to spend more time playing and less time tuning their drums. The result is the SONIClear Bearing Edge, which increases the contact between the drumhead and shell and allows the head to sit flat on the edge, this produces a stronger and more centered pitch and makes the drums remarkably easy to tune. The increased contact enhances shell vibration, making the tonal nuances produced by different shell materials more prominent. The effect of the Armory Hybrid Shell, which uses a blend of maple and birch, is increased brilliance and projection on the rack toms and a fatter and darker punch from the floor toms and bass drum. "The drum manufacturing community hasn't paid a lot of attention to the importance of bearing edges over the years. 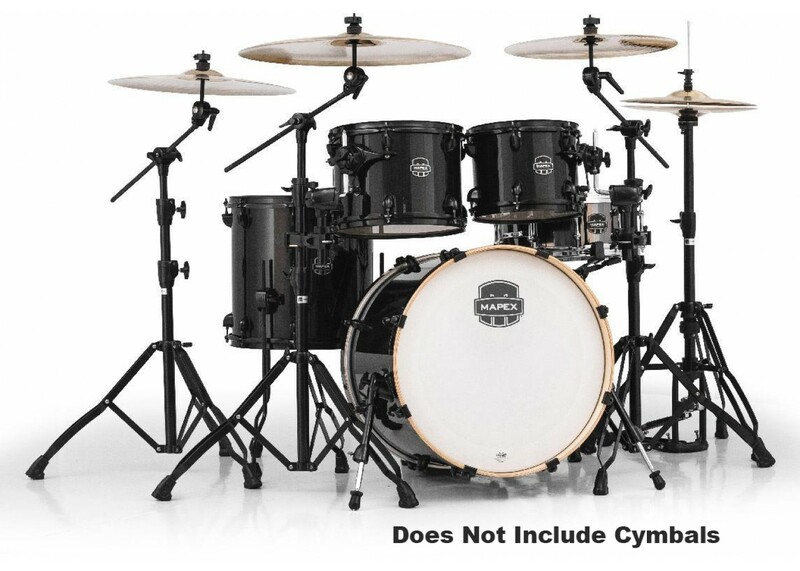 Specifically, players have had a difficult time tuning their drums and making them sound good because the apex of the edge is too far to the outside of the shell and they can't get the drumhead to sit flat", states Mike Robinson, Director of Marketing for KHS America. "That frustration can lead to a lack of enjoyment and less time playing. The SONIClear Bearing Edge solves those issues and enables players to get a great sound even without much tuning experience. This is a truly significant breakthrough that all our customers will benefit from." However, Mapex didn't stop there. They've taken design innovations found on their premium line of Saturn IV drums and brought them into the mid-range to enhance the performance of this gig-quality series. 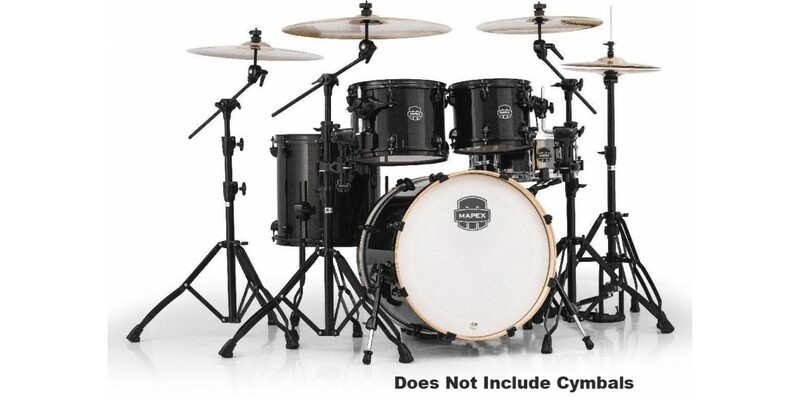 The SONIClear rack tom suspension system and floor tom feet increase overall resonance by preserving vibration in the shell and drumheads and preventing the loss of energy that can make drums sound choked.